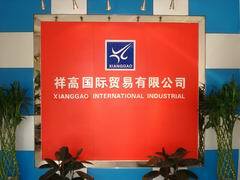 Ningbo Jiangdong Xianggao International Industrial Co., Ltd.
Ningbo Jiangdong Xianggao International Industrial Co., Ltd. --Importer of synthetic rubber,natural rubber and have been trading in natural and synthetic rubber for over two decades. One of the pioneers in importing good quality synthetic rubber and providing value added services in getting right grade of synthetic rubber and rubber chemicals. we have well organised godowns for storing synthetic rubber and rubber chemicals.Manufacturers of synthetic rubber rubber chemicals get timely delivery of the raw materials.